we use the national standard steel pipe, welded by the industrial robot, process the advantage of strong and smooth welding. No rag ,no welding scar, and the anti-electric-state power was imported from Germany ,painted to the metal bf flow line painting equipment in high temperature, it makes the color on the metal parts bright for long term and not easy to drop off. we use the imported material LLDPE, to make sure all the products anti-UV, anti-aging ,anti-electric state, non-toxic, the quality is better than the similar products. It is made of Africa rosewood which is firm and durable which is attractive and cheap. 2.all products passed ISO9001 International Quality System Certification and Germany TUV:EN1176 certification , and insured by China pacific insurance company. 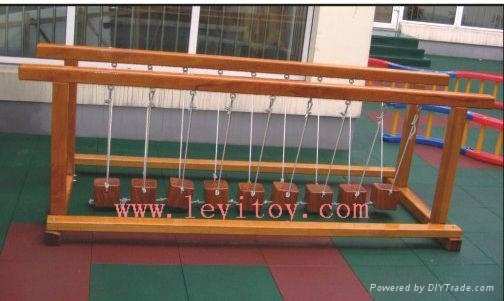 3. it can be made into different size as you wish and installed both indoor and outdoor. 4.special service: OEM and customer’s design are available. 5.designed for children: 3-12 years old. 7.apply area: kindergarten; primary school; community; shopping malls, park and so on. 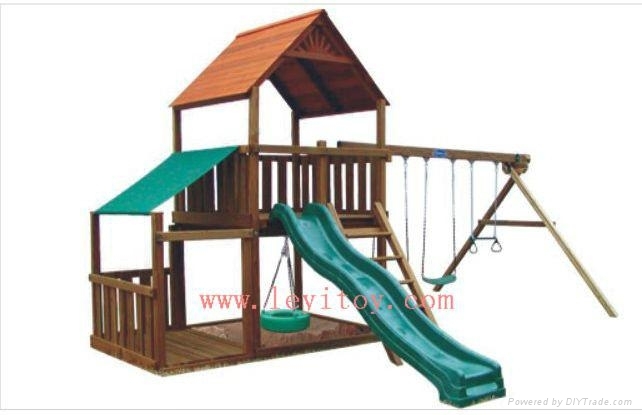 9.Usage: Special for residential park, recreation ground, leisure place, activity center. 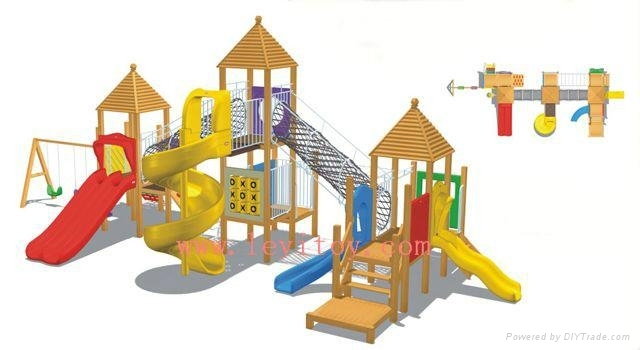 Guangzhou Leyi Playground Equipment Co. ,Ltd is one of the largest playground equipment and body-building equipment manufacturers in china .we specialize in producing outdoor/indoor playground equipments, Inflatable bounce, bodybuilding equipment, water park, trampoline, electric toys and so on. All products passed ISO9001 International Quality System Certification and Germany TUV:EN1176 certification , and insured by China pacific insurance company.